How To Improve Self Confidence - For Singers! How To Improve Self Confidence - Especially For Singers! "The Top 12 Things That Singers Must Have." Love, Support & Good Health. 1. Success - What is it? and 2. "Talent?" - Do YOU have it? If you read what I have written in the previous linked article about the mYsTerIOus Mix Of Talents that goes into getting ahead as a singer, you´ll see the importance I give to having a vision for yourself. It does not really matter what your aspirations may be as a singer. Whether you want to be (yikes!) !FAMOUS!, or someone who wants to sing better for his grandkids, or a person who wants to feel more in tune and at home in a good choir... having a vision for your unfolding path in music, whatever it may be - can bring you a lot of peace. This is not to say that the path will go ahead exactly as planned. I like to keep a lot of flexibility in my vision - knowing that often, better (certainly different) things come along than I could ever have imagined. Even more than the gift of a good voice or an ear for music (which can usually be developed) is the ability to simply "keep at it." 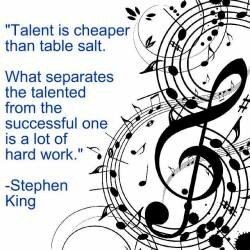 Over the many years that I have been performing & teaching (close to 30), I have witnessed how those who have both good musical ability AND the ability to keep moving along - no matter how slowly - are the people who eventually find success - whatever that may mean to them. Read more about how having YOUR own definition of SUCCESS is vital to your musical health. "Talent" is truly a mix of elements. Recent studies point to the idea that the "core" talent does not matter as much as we believed. What matters more is the habit of doing good, concentrated work over a long period of time. 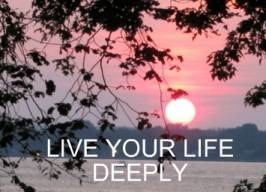 Whatever you desire for yourself as a singer, commit yourself to working at it for as long as it takes. When things get difficult, (as they often do), give yourself a break. Get centered again. But come back to it, if after all, you still feel that this is the right path for you. And more than likely, you WILL get to where you want to go. I wish you great singing. May you find many more personal answers as to "how to improve self confidence." JUST GETTING STARTED ON SINGING? 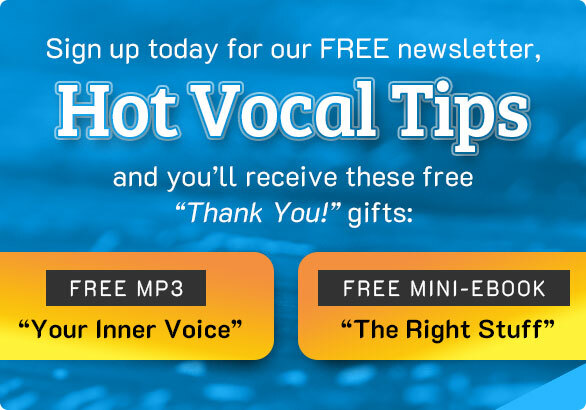 HERE´S AN E-GUIDE AND VOCAL WARM UP JUST FOR YOU!